I have seen this bag on one of those very popular online auction websites many times so I purchased one for my collection . 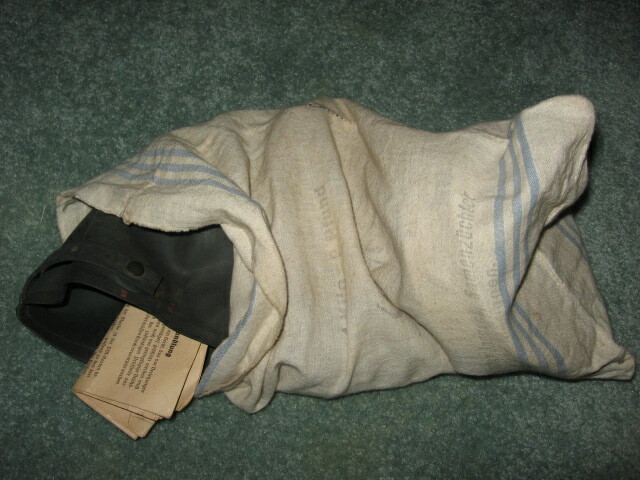 This sack is a white cotton cloth sack with several blue bands running along the width near the bags bottom . 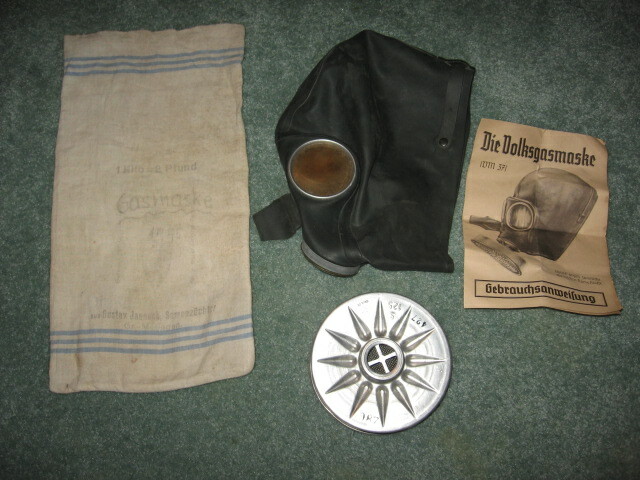 I purchased this gas mask and it's cloth sack thinking that this was a late war factory carrying bag replacing the frail and difficult to carry cardboard box that most VM 37 and 40's are found in . 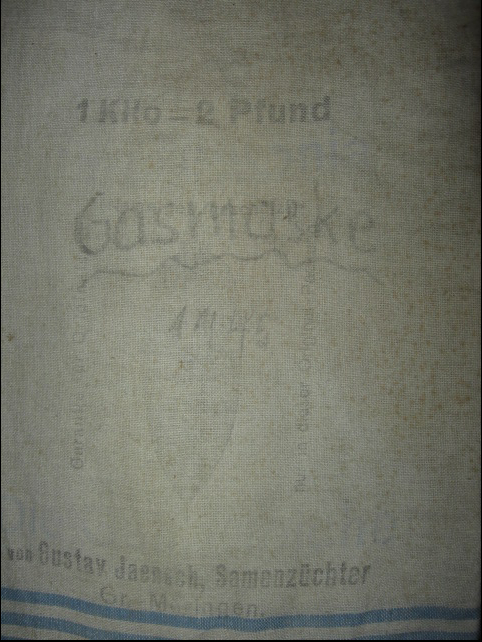 After close examination after I received this item in the mail I found that this IS NOT a factory carrying / storage bag ! This is a bag that once had food or some other item in it ! 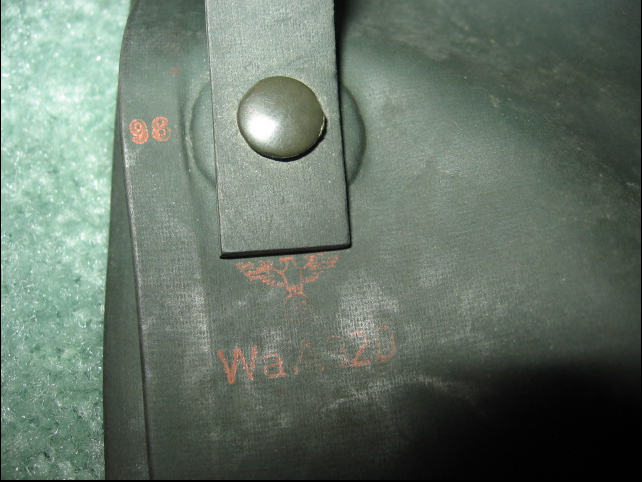 There are faint ink stampings with the original marker marks and what looks like an address on it , this bag does not have DRÄGER or AUER maker marking on it at all ! 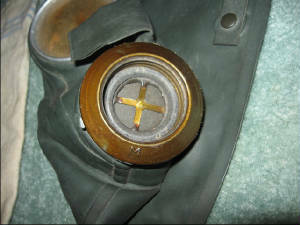 The VM gas mask seems never to have come from the factory with this bag . 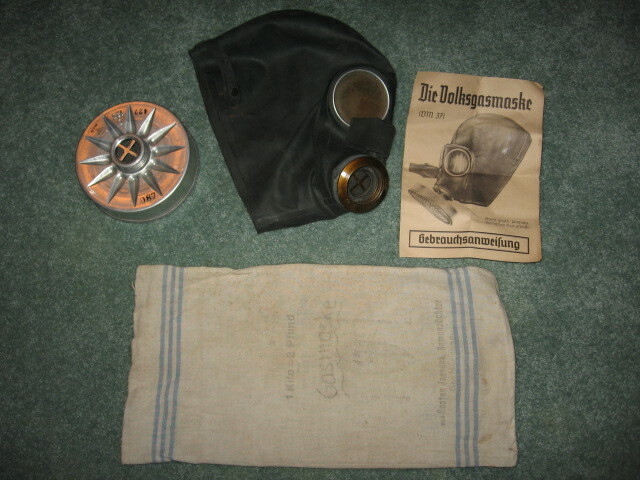 I feel the original owner placed the VM gas mask in this cloth bag to store it in and transport it around much more easily than a cardboard box . 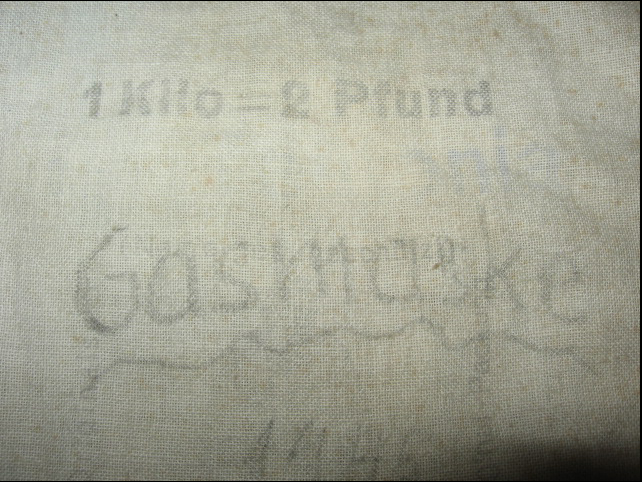 The original owner hand wrote on the front of the bag GASMASKE , this is written OVER the ink stamping on the bag . 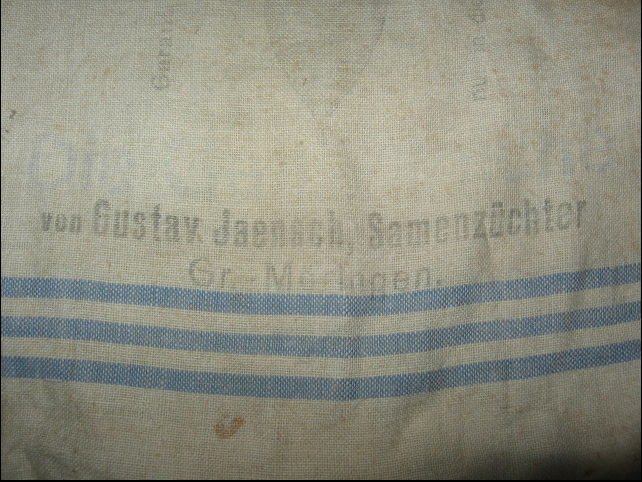 The blue bands at the bottom of the bag are not ink stamped on but are blue cotton thread woven into the white cotton cloth that the bag is made from .